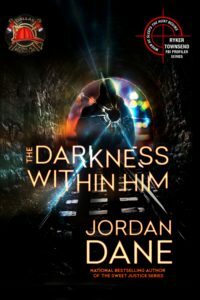 This entry was posted in #amwriting, #writetip, #writetips, adding suspense, adding tension, backstory, setting, show don't tell, Writing and tagged Jordan Dane, The Darkness Within Him, Where to Start by Jordan Dane. Bookmark the permalink. I didn’t read the dog barking as a backstory. I read it as a continuation of odd things happening at Rachel’s home because Kit had been boxing Rachel’s possessions, which I assumed meant Rachel’s body had been discovered days/weeks earlier. I agree with Jordan on the reaction of Kit to the two people dressed in black. And I’m surprised Kit didn’t fall after encountering them since she ran forward into the lawn, physically collided with them, and one shoved her back. Depending on the neighborhood, some lawns are notorious for their uneven ground. And I forgot to add, I was caught up in this story. And whichever way you decide to start, either the body or the dog barking, keep writing. Thank you for sharing. Thanks for your feedback, Lisa, and your encouragement for this author. I didn’t say the dog barking was back story. After the first few lines where Rachel’s body is mentioned, the dog turns out to be in present time. The body reference is the back story or a flashback to Kit imagining something she hadn’t witnesssed. No matter how you read this, there’s a definite jumping around that is disorienting at the start until the action begins with Kit as she investigates why the dog is barking. I agree with Jordan. The emotional impact of finding someone you know dead can be a powerful opener. If it were me, that’s where I start. A few picky things to make the writing stronger … At some points the POV feels like deep 3rd, and at other times it’s more distant. By removing words like “she thought” “heard” “smelled” and the like, you’re POV will be more intimate and, therefore, force the reader to experience the scene with the protagonist. Distant 3rd: Beneath a streetlight, Kit smelled the aroma of smoke in the brisk October wind. Deep (or close) 3rd: Beneath the streetlight, smoke tangled with the brisk October wind, waltzing into the smoldering glow as ashes rained like confetti. Feral cats mewled in the distance. Or was it a coyote? Thanks, Sue. Good point on POV. After I reread this again, Kit was only imagining Rachel’s body, which makes the starting imagery of her body read like a cheat. It’s quckly rectified once we get into Kit’s action, but it’s a jolt that forced me to reread. Not a good thing for a reader to do, especially on an intro. Brave author, thanks for submitting Harm To Come. Great title that promises danger. “No one should die alone” jumped out at me as a potential first line. To me, the real hook comes when Kit sees the light inside Rachel’s house, a light Kit *knew* she’d turned off after boxing up Rachel’s belongings. Like Jordan, I got confused between present and flashback. Part of the reason might be too much focus on inconsequential details. Does the reader really need to know Rachel’s and KIt’s ages at this point? Plus doing the subtraction stopped me cold. Is it really important to know MuMu is a shepherd lab cross? Or that Kit turned the faucet wheel to the left? Suggest you give much more attention to the men in black and Kit being shoved. That’s sinister and pulls the reader into the story. One of the hardest tasks for me as a writer is to choose which critical details MUST be on the first page as opposed to information that’s needed yet can be introduced later. Try taking a highlighter to mark the critical details and rewrite to amplify them. Then move the less crucial to later in the chapter. Good luck with an intriguing story. Hi Debbie. Thanks for your comments. The preponderance of inconsequential details diminishes the sense of danger. These are a distraction from the action and pulls the reader from being “in the moment.” The author must stick with the action as if “living it” through Kit’s eyes. I’m assuming two things. The first is that this is the beginning of the story. The second is that the writer is attempting to show the main character in turmoil and maybe disoriented. A confused or disoriented character is an interesting problem to present. Here the confusion is in the action when it should be portrayed as in the character’s head. Try establishing the time and situation then showing the character’s confusion. Then we readers will know what’s going on. By the way, opening with two clauses masquerading as sentences doesn’t work. Neither does the next sentence. This may be one of those situations where a little more telling and a little less showing might be better. A good example might be the opening to Elmore Leonard’s Pronto. You can read it in the Amazon preview to the book. Hey Brian. Here’s a link to the Elmore Leonard book you mentioned. You make a good point to mention that confusion in the head of the character is something a reader can follow, with skill from the writer, but confusion to the action itself can be disorienting if the reader has a challenge to figure out what is going on. Thanks for weighing in. I didn’t get confused with what was backstory and what wasn’t. Personally, I wouldn’t tell the reader anything about Rachel being dead in this chapter, its backstory and I would leave it until the next chapter. I would have Kit hear the unusual bark of Mumu – look out to investigate it – see the lights on in Rachel’s house and think how she is certain she turned them off after her day of packing up Rachel’s stuff. Let the reader wonder why she is packing her neighbor’s stuff. Then she investigates and gets knocked out by the two people. End of the chapter. If you end the chapter there you don’t have to debate whether she should be more concerned about the people or the fire. The police and fire will come. Have her wake surrounded by them. Then somehow the police can ask/ or she can ask if the fire had anything to do with Rachel’s being found dead, by Kit, before. 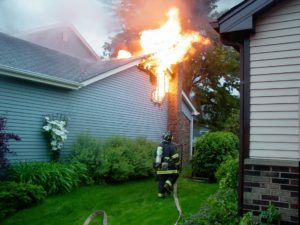 That way you can give all the backstory in a more action packed way – surrounded by fire and police personnel, the fire itself, the gathered neighbors, maybe she is on a gurney pulling the oxygen mask from her face in order to speak. Give as little or as much backstory as you want at this time. Hi Michelle. You give a good order to the action in your summary. That’s exactly what stick to the action is about. Thanks. • “Viewing Rachel’s crumpled body in her head…” gave me that “throw Mama from the train a kiss”/moment ~ perhaps just “Recalling Rachel’s crumpled body, …”? • In the same vein, “…after boxing Rachel’s possessions for the day..” made me think of getting ready for a brief trip~ so perhaps “…after spending the day boxing Rachel’s possessions…”? Nice input, George. Especially like your last line. Good one. My interest was definitely peaked, but, like Jordan and others, the opening was disorienting in a jarring way. It felt like a big stutter, followed by some little ones. I think Jordan nailed it – you need to decide where the story begins best (easy to say, hard to do – I know). I love every one of the pointers Jordan listed on there – a gold mine. Jordan is one of the best I’ve read at layering a scene until she’s wrung out every bit of nuanced info (that you don’t usually consciously realize you’re sucking in). She is also great at keeping you on the edge of suspense and disoriented in good ways. So, you’re in good hands. Like the others – don’t be discouraged, be enlightened, and keep on going. It’s hard to have a 100% perfect and nailed opening until you’re done most of the time, there will always be things you’ll want to go back and tweak. But if you can decide whether to start at Rachael’s body or the fire now…. you’ll be much more confident moving forward. Blushing, Penny. Thank you. I struggle with every opening. It’s the hardest challenge for me. I liked the first two sentences very much. But then I learned it was backstory and I was let down. 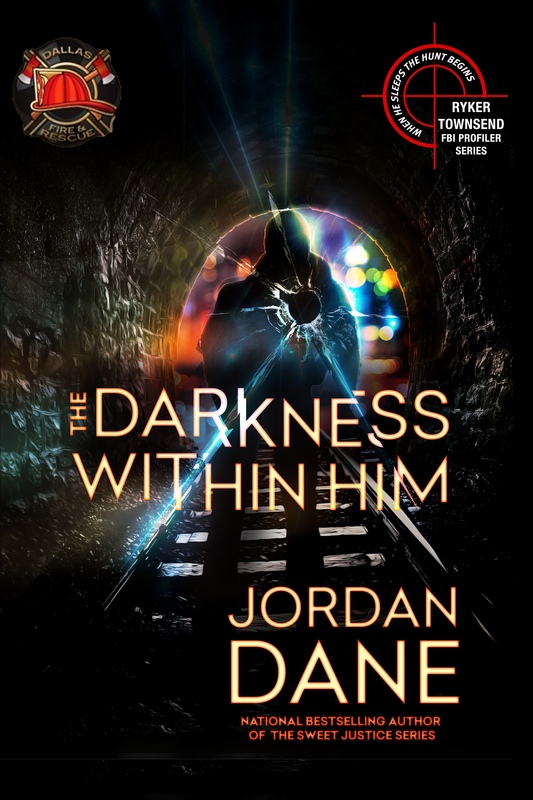 I fully agree with Jordan that this book should start with the current story (whatever it is) and go from there. The author could make her discovery of Rachel’s body “current”, and let us know how she happened upon it, her reactions when she saw it, and what she did about it. Hi Don. The effectiveness of those teaser lines resulted in the let down I felt after realizing the story would take an immediate stumble. It’s like a great starting sentence that’s s false start where the author immediately backpedals in another direction. A savvy reader will not be fooled. It’s best to make a solid start where elements of mystery lure the reader into the story, then let the reader sink deeper into your character’s world with more teasing or foreshadowing without explanation or back story. Stick with the action.